A future with driverless cars is like a utopia the world is speeding toward. 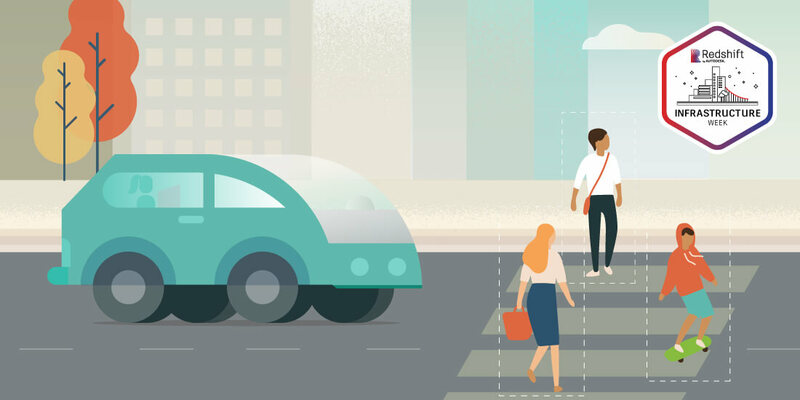 To the hopeful masses, autonomous vehicles offer the possibility of moving more people efficiently and even reducing hazards brought on by human errors. But while the technology has been heralded as a revolution as significant as the horseless carriage, it also introduces logistics issues and new risk. What remains unclear is exactly how and when the dream of autonomous vehicles will be realized and what it will take to ensure safety. Despite eagerness in densely populated states to roll out autonomous vehicles, a fatal crash in Arizona has slowed the momentum on testing self-driving cars. But without being able to test automated vehicles, how can progress be made? And when something goes wrong, who is to blame? When it comes to safety, “There’s a whole set of issues around the law in autonomous vehicles, and it includes liability, cybersecurity, and privacy,” says Anthony Foxx, secretary of transportation during the Obama administration. Addressing these issues before the technology becomes widespread is the responsibility of citizens, federal and state governments, and the auto industry. Most predict that mass-market vehicles offering some level of autonomy will become common over the next two decades. During his time as secretary of transportation, Foxx and his team anticipated a transition period with a mix of machine-directed and human-directed vehicles sharing the road. One promising option lies in the way autonomous vehicles will communicate with other vehicles, bicycles, infrastructure, and pedestrians. 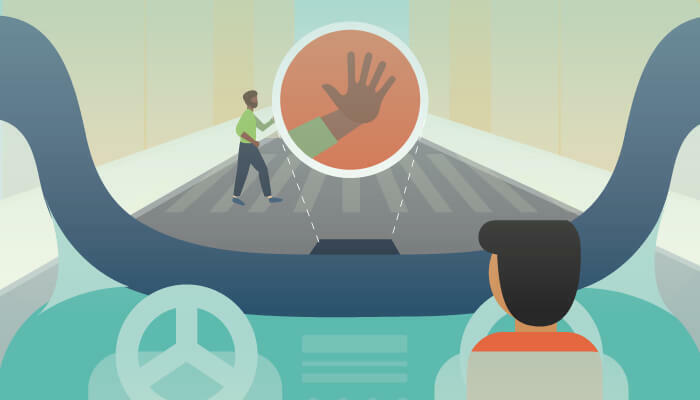 While these autonomous technologies indicate a future with fewer crashes on the road, human nonverbal driving cues need to be considered, especially as these vehicles deploy alongside manually driven cars. For example, when another driver waves at you, she might be signaling for you to go ahead. When entering an intersection on a bike, you may make eye contact with drivers to make sure they see you before proceeding. But if you encounter an autonomous vehicle, how do you know that it has “seen” you and given you the nod to proceed? 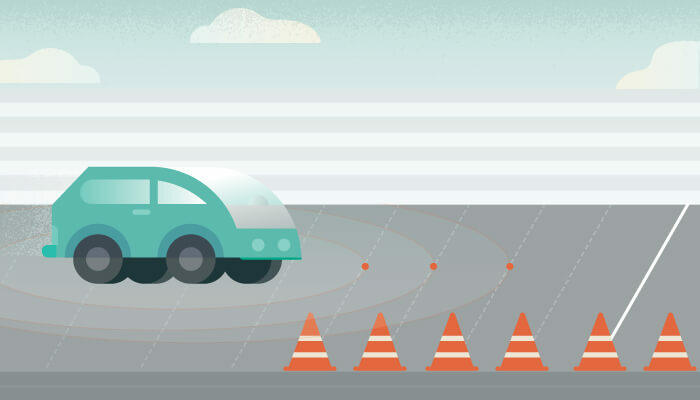 Discover why augmented reality and AI will make driverless cars safer. Before being licensed to drive a car, US citizens have to demonstrate that they’re qualified by taking government-administered driving and vision tests. Because this process doesn’t make sense for autonomous cars, during Foxx’s time at the USDOT, the government established that once one vehicle passes those standards, it won’t need to be recertified each time someone buys that same vehicle type. Lieu says that in order to prove that autonomous car testing can be safe, the government needs to develop performance metrics by which these vehicles can be measured. For example, a vehicle needs to be able to stop within x feet when traveling at y miles per hour. While there was some tension between federal and state governments about roles in regulating autonomous vehicles, those lines are becoming more clear. “If a human being isn’t driving it, the car is driving itself; that is a total open question, and you will see different states approach that question very differently,” says Foxx, who considers cybersecurity and privacy central issues to be addressed by the industry. According to Lieu, liability for manufacturers won’t be much different because they are currently liable for vehicle defects. “If there’s something wrong with the car, and that leads to a loss of life, like say, the Takata airbag recall . . . those people who’ve died, Takata’s responsible for that. So that doesn’t really change significantly because you’ve still got these component manufacturers or the car manufacturers themselves who are responsible for loss of life,” Lieu says. No matter what pace the United States takes in advancing its autonomous vehicle technology, the rest of the world isn’t likely to slow down. China has been ramping up its autonomous vehicles efforts and has even invited foreign automakers to test there.